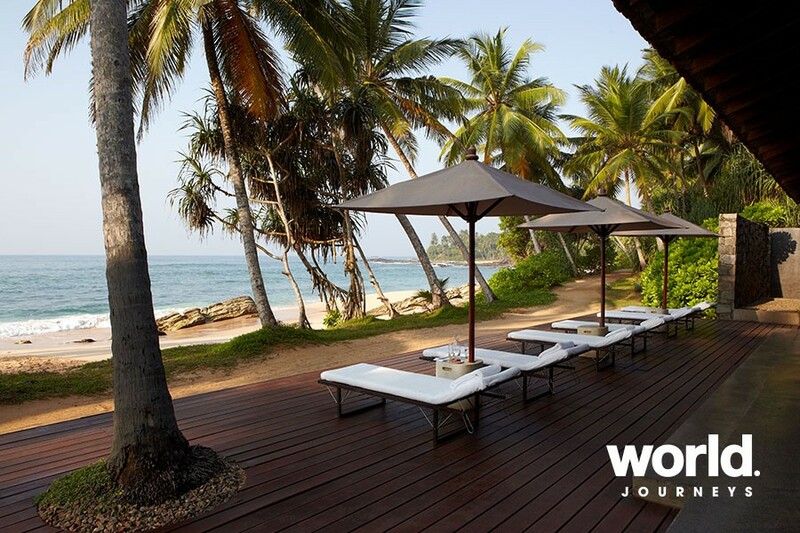 Coconut palms sway above the golden sand beach at Amanwella, a tranquil hideaway set in a cove on Sri Lanka's southern coast. 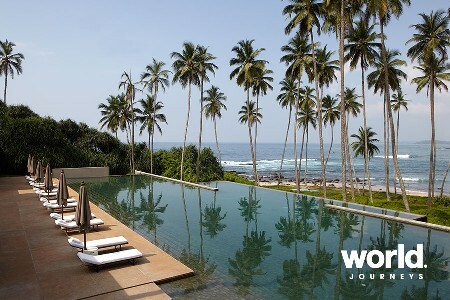 The seaside town of Tangalle is nearby and Sri Lanka's diverse flora and fauna is ready to be explored. 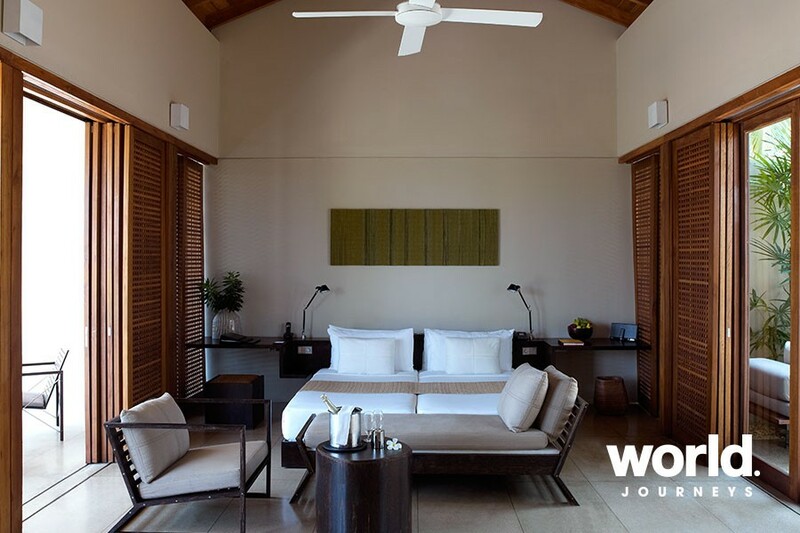 The 27 contemporary Suites dot the hillside above the Indian Ocean, opening onto private terraces with dining tables and loungers. 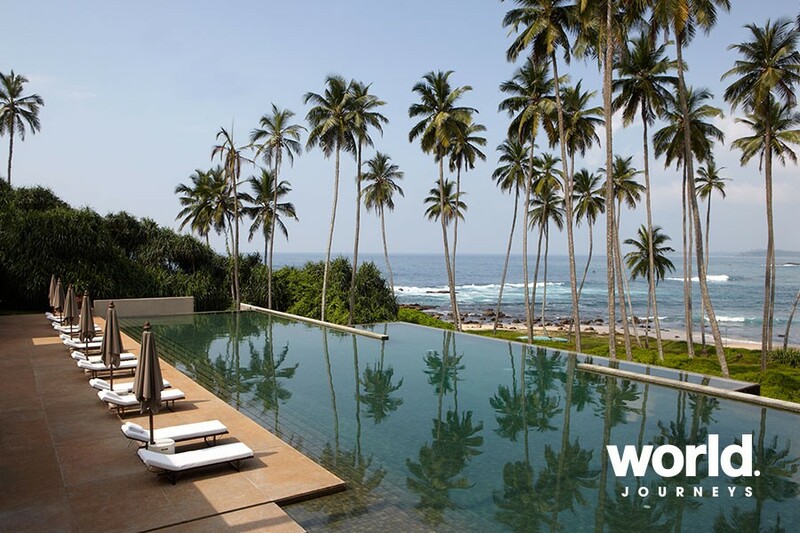 Open to the sights and sounds of Sri Lanka's spectacular south coast, Amanwella's contemporary suites feature floor-to-ceiling sliding glass doors on both sides. 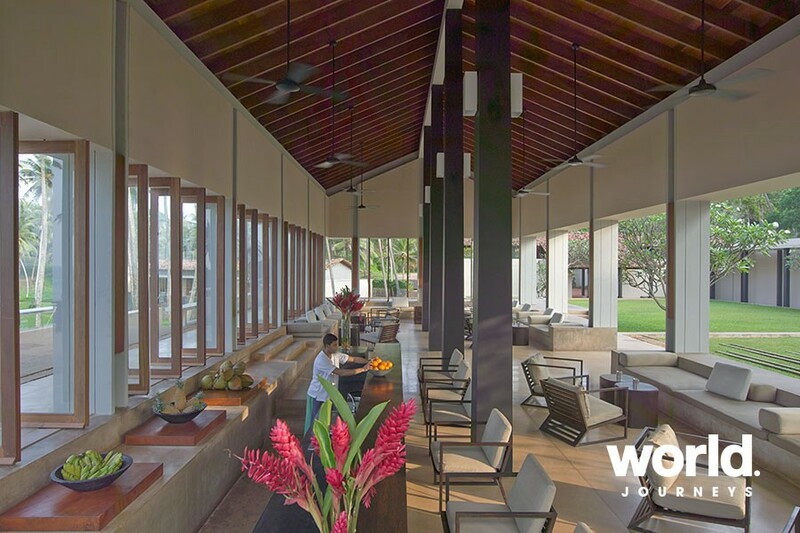 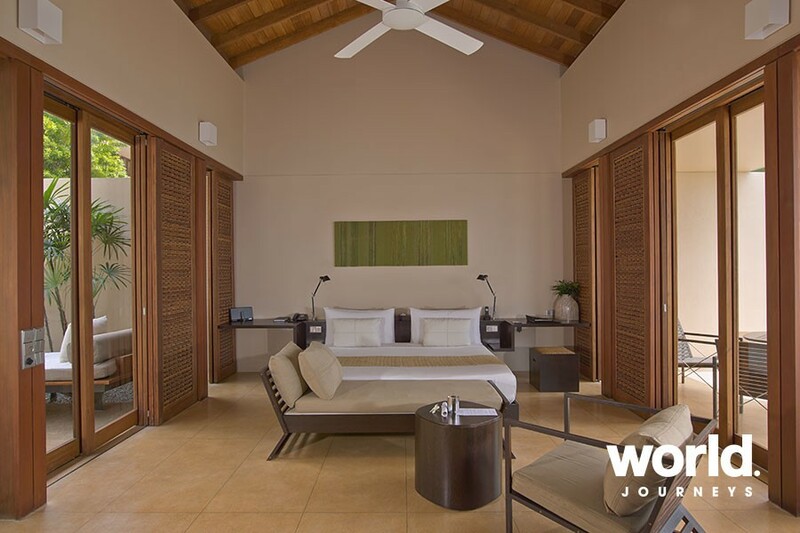 One side opens to an entrance courtyard with a private plunge pool, the other to an expansive terrace with twin sun loungers, a dining table and chairs, and views of the coconut grove, beach and ocean. 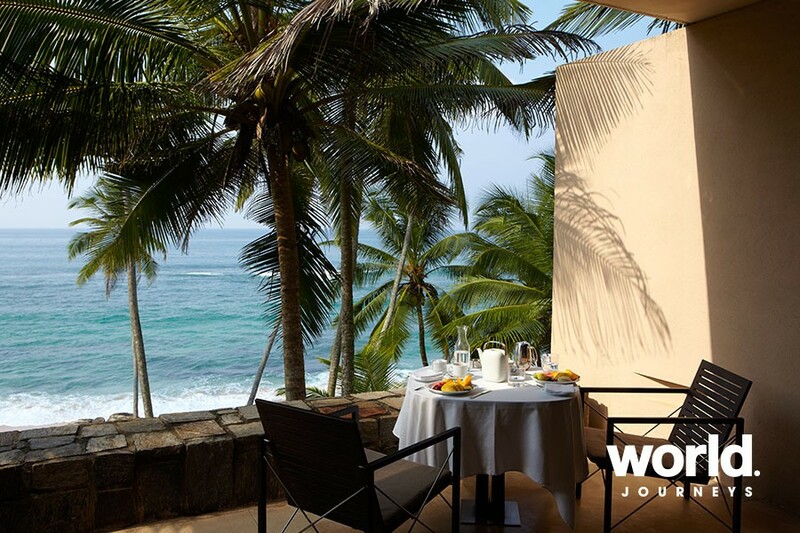 Amanwella's golden-sand beach is ideal for activities ranging from surfing and snorkelling to whale watching and fishing in the Indian Ocean. 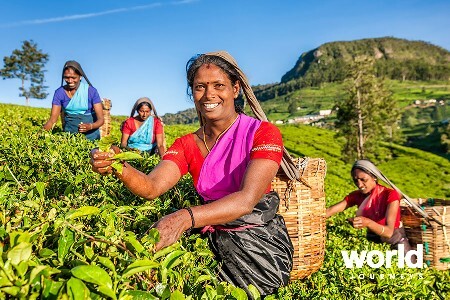 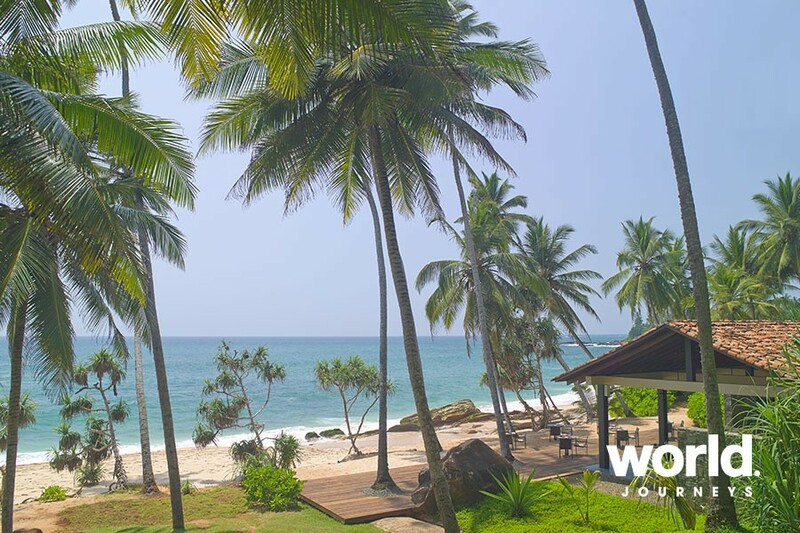 Nearby, the jungled coast is home to the cultural riches of southern Sri Lanka and infinite natural treasures such as those at the Yala and Udawalawe national parks, where leopards and elephants can be seen, as well as the Bundala Bird Sanctuary.